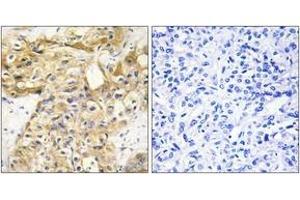 Immunohistochemistry analysis of paraffin-embedded human liver carcinoma tissue, using Collagen XVIII alpha1 Antibody. The picture on the right is treated with the synthesized peptide. 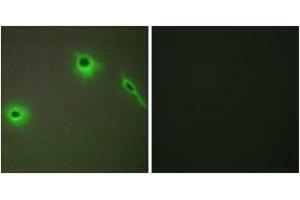 Immunofluorescence analysis of A549 cells, using Collagen XVIII alpha1 Antibody. The picture on the right is treated with the synthesized peptide. Immunogen The antiserum was produced against synthesized peptide derived from human Collagen XVIII alpha1. 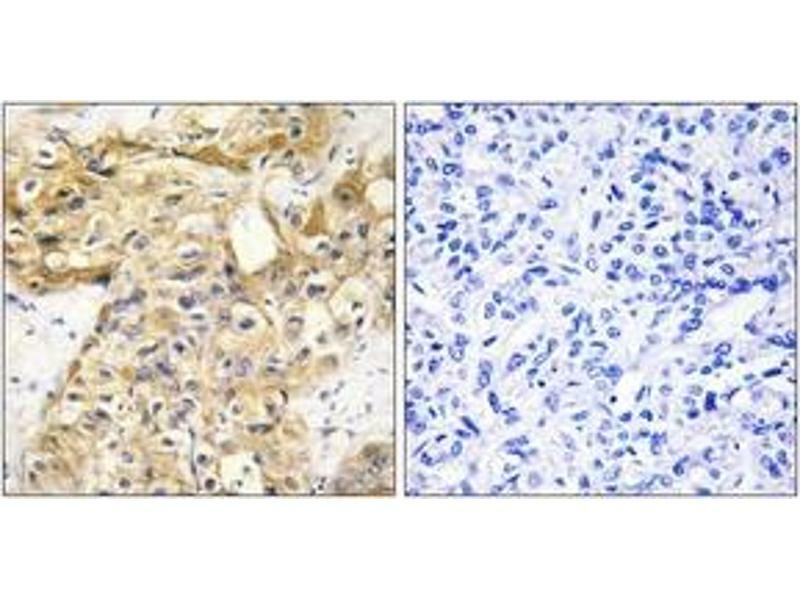 Collagen XVIII alpha1 Antibody detects endogenous levels of total Collagen XVIII alpha1 protein. 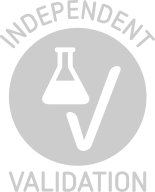 Background publications Hattori, Fujiyama, Taylor, Watanabe, Yada, Park, Toyoda, Ishii, Totoki, Choi, Groner, Soeda, Ohki, Takagi, Sakaki, Taudien, Blechschmidt, Polley, Menzel, Delabar, Kumpf, Lehmann, Patterson, Reichwald et al. : "The DNA sequence of human chromosome 21. ..." in: Nature, Vol. 405, Issue 6784, pp. 311-9, 2000 (PubMed).